You might have noticed that we recently released some significant software updates. The most exciting of which is our new expense importing feature. This feature offers a quick and easy way to upload a large number of personal business expenses; in bulk. Leaving you with more time to focus on what’s important – building your business. Recording your expenses in the inniAccounts software ensures they will automatically be reimbursed directly/through your payslips and are easily attached to your invoices when required. We know that many of our clients use spreadsheets to record their business expenses and that entering each expense individually can be time-consuming. With the new feature, you will be able to record and upload as many expenses as you need in one go; using our CSV expenses file. We’ve also built new intelligence into the software that will analyse your file and automatically help you to complete all the necessary details. Remember, these expenses are for business transactions that you’ve paid for using your own personal bank account or credit card. You can find more information on business expenses here. The video above also provides step by step directions on how to upload your expenses using the expense file template. To get started, simply download our expense file template. You can use this template to record and save all your expenses. In order to upload these expenses, you will need to at a minimum, include the Date, Description and the Amount of the expense. You also have the option to add the VAT rate against the transaction as well as a paid to and transaction reference to aid your records. You will need to save the file in the CSV (Comma Separated Values) format. Using our template ensures that your expenses are always formatted correctly for the expense importer. More information and guidance on how to create and complete your file can be found on the first tab of the template. You can import your expenses in your Quick Entry area by selecting the Import expenses from CSV button beneath your personally incurred expenses. To upload your completed expenses file, simply drag and drop the file into the panel at the centre of the page. Once the saved file is imported, keep an eye out for our new built-in artificial intelligence (AI) software. You can use AI to analyse the file by selecting the Apply AI button at the top of the screen. If they weren’t entered manually, the AI is able to help select the correct category of the recorded expenses. The categories selected by the AI will appear in blue. Here, you should check the expense information to ensure it is correct. You can also input additional data if it wasn’t included in the original file, such as the correct category for your transaction, the VAT rate and whether the expense is linked to a contract and if it is billable to them. Once you have checked and completed the expense details, you can import each expense one by one or use the button in the right-hand corner to import all the expenses at once. All imported expenses will appear in your Quick Entry area. With the expense importer you can now upload your business expenses in bulk. 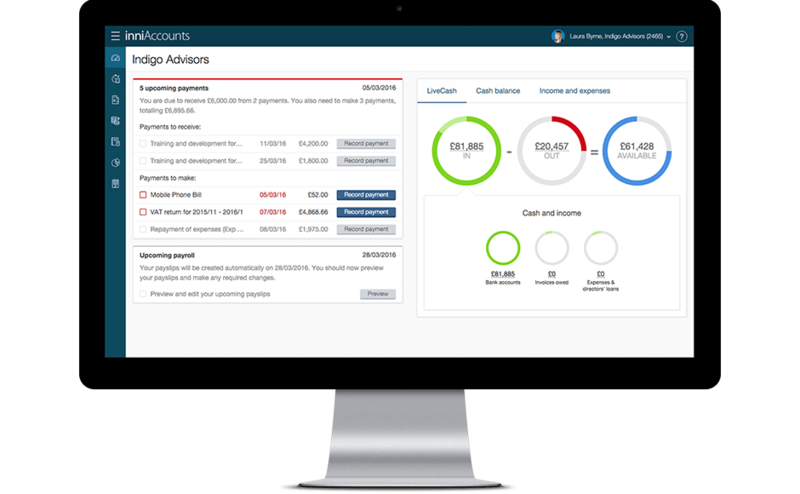 Why not download our template and start recording your expenses now. You can find more information on allowable business expenses here.